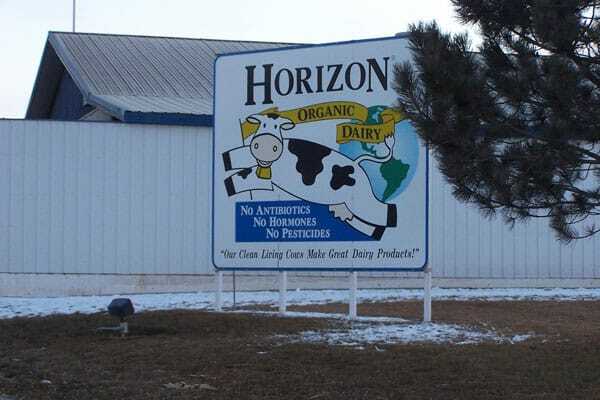 NOTE: The following photos were taken by Cornucopia staff during our June 30, 2006 visit to Horizon’s Idaho dairy. 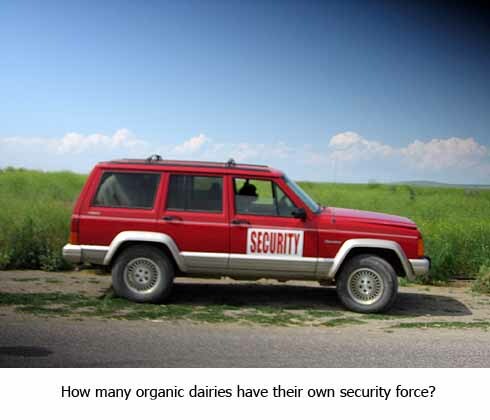 Although we toured the farm as guests of Dean Foods/WhiteWave management we were asked not to take photographs during our visit. 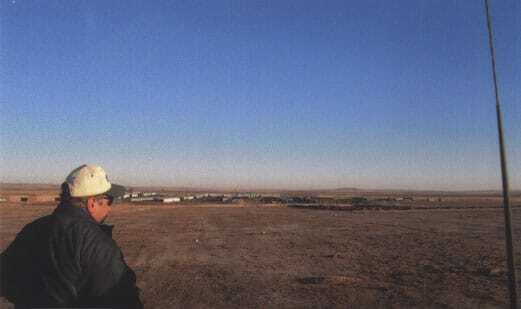 All of the following photographs were taken from the public right-of-way along adjacent roadways after our formal tour while we were closely monitored by security staff. 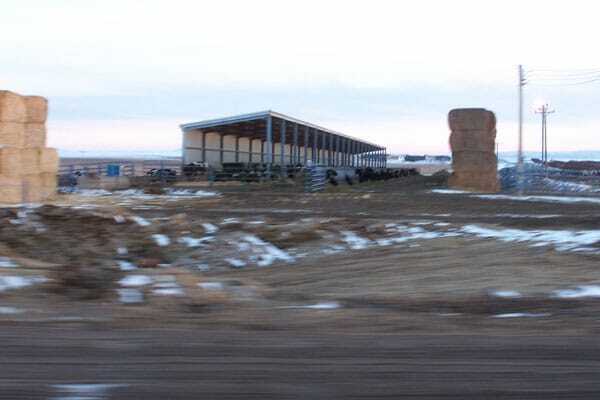 Stocks of hay to feed some 4000 animals in front of windows of manure from the thousands of cows. 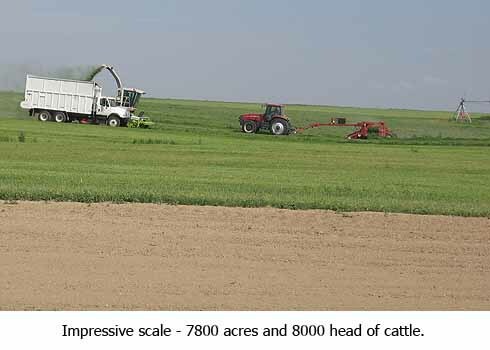 Impressive scale – 7800 acres and 8000 head of cattle. Sheds with mountains of manure in the background. 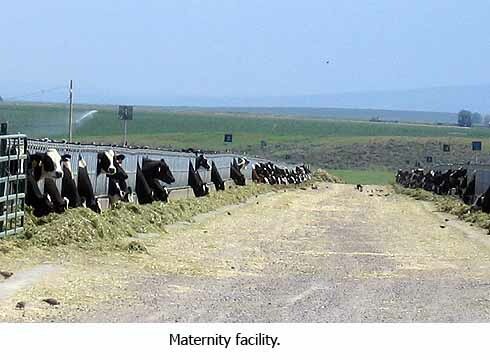 A view from a distance of the maternity facilities. 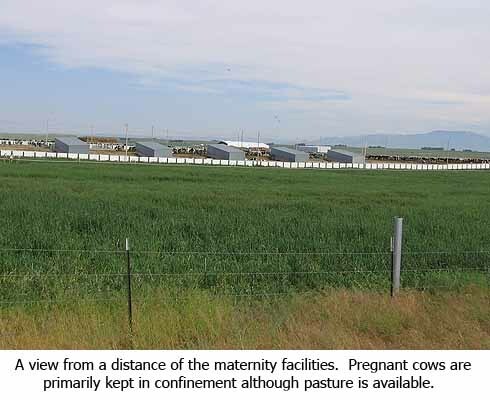 Pregnant cows are primarily kept in confinement although pasture is available. The happiest looking cow on the spread. 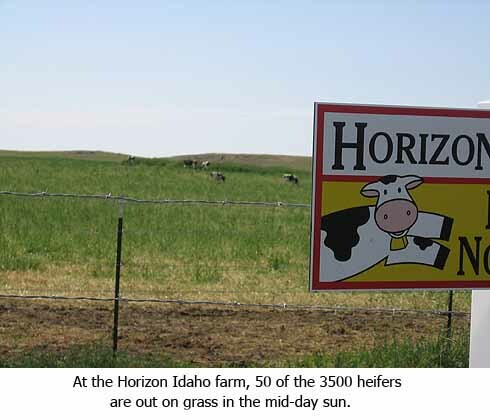 At the Horizon Idaho farm, 50 of the 3500 heifers are out on grass in the midday sun. Jam packed (happy) cows and mounds of manure. 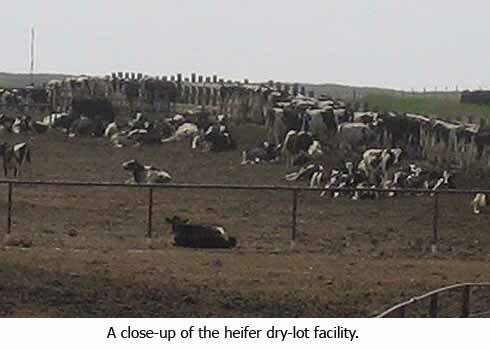 A close-up of the heifer dry -lot facility. Calf hutches amongst the desert scrub grass. 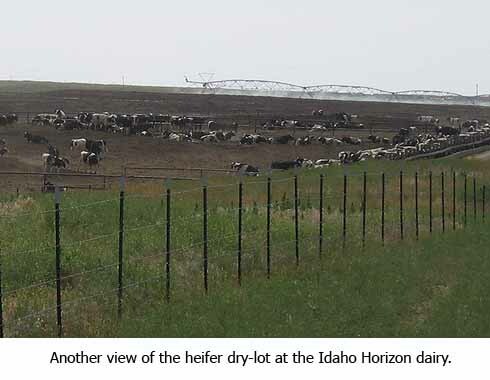 Another view of the heifer dry-lot at the Idaho Horizon Dairy. 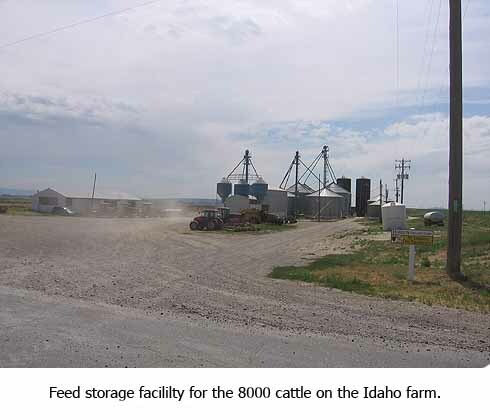 Feed storage facility for the 8000 cattle on the Idaho farm. 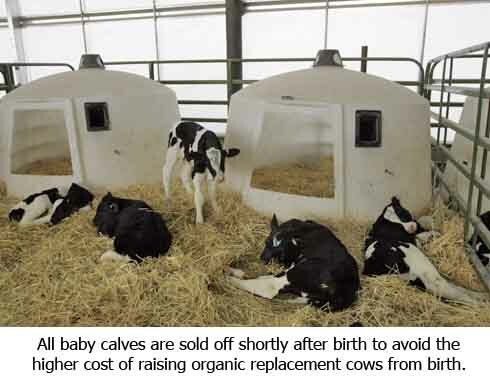 All Baby Calves are sold off shortly after birth to avoid the higher cost of raising organic replacement cows from birth. 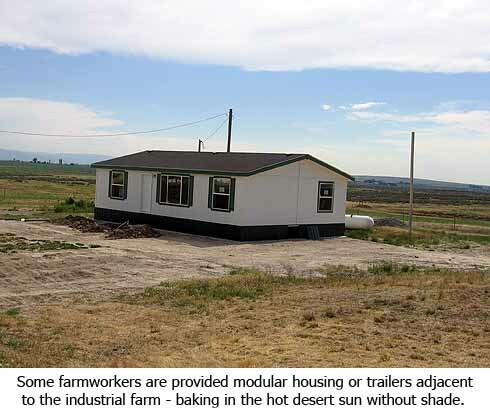 Some farm workers are provided modular housing or trailers adjacent to the industrial farm – baking in the hot desert sun without shade. Not so happy downer cow and other cows heading to be milked. 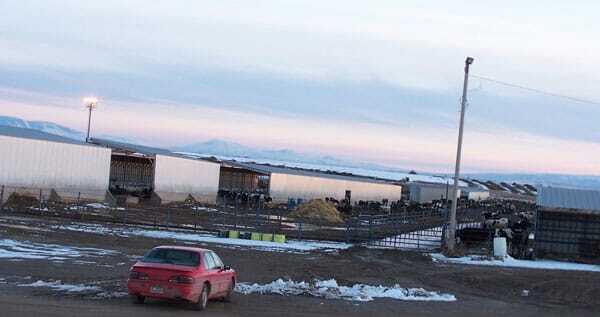 Sheds with mountains of manure in the background (when cattle are confined rather than being out on pasture they create tremendous quantities of manure). 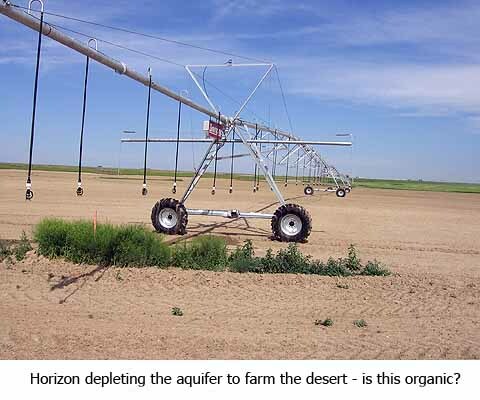 Horizon depleting the aquifer to farm the desert – is this organic? 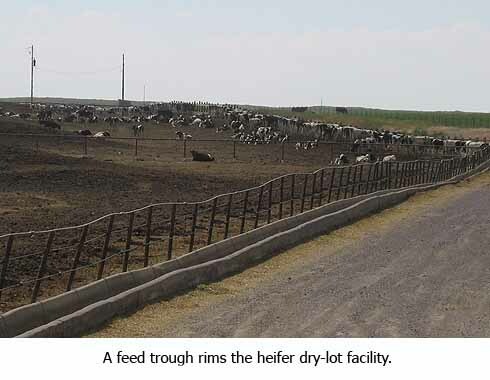 A feed trough rims the heifer dry-lot facility. 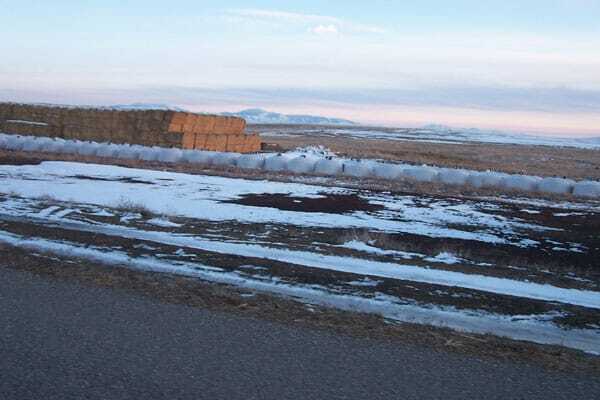 The next set of photographs show what Horizon’s farm management refers to as “winter housing.” The images were previously taken by one of our members who farms in Idaho. 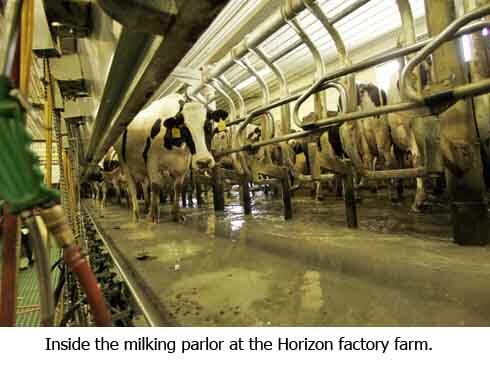 As you view these, it must be noted that during our staff visit in June, 2006 to the facility, the majority of all cattle were still confined to their winter housing. 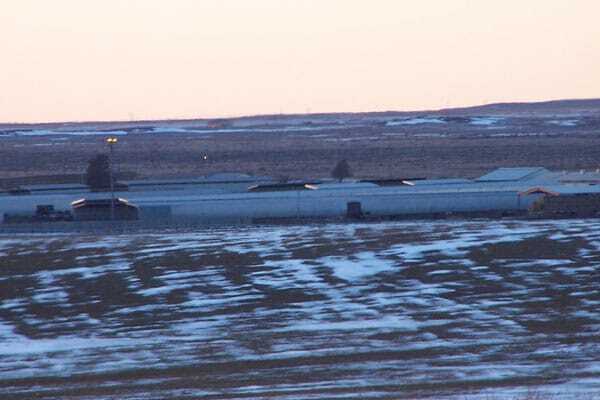 Although the following photos were taken by our member at a different time of the year, they show the farm’s confinement approach that is regularly used. 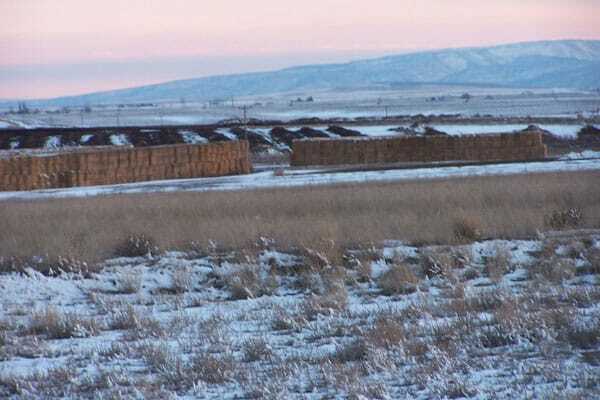 Stocks of hay to feed some 4000 animals in front of windrows of manure from the thousands of cows.